This is a great and quick warm up course for any Fortnite player, even beginners. What makes this course so great, is that it is well-rounded. It features classic edits you’ll need in-game, 90’s and double-ramp building practice, aim-practice, and even a bit of obstacle jumping. If you are fairly experienced with these aspects of the game, you should be able to complete the warm-up in under 5 minutes. Otherwise, it might take you a little longer. This course is created by Fortnite user, CanDook. This editing course is also great for warming up. Despite it being a single creative map, it actually contains different 3 courses in one map, all of which are pure editing. These courses contain more advanced editing techniques but are great for practicing those edits. You won’t get to warm up any other skills that editing in this course, so you might want to do another course in combination with this one. This course is created by Fortnite user, Selage. 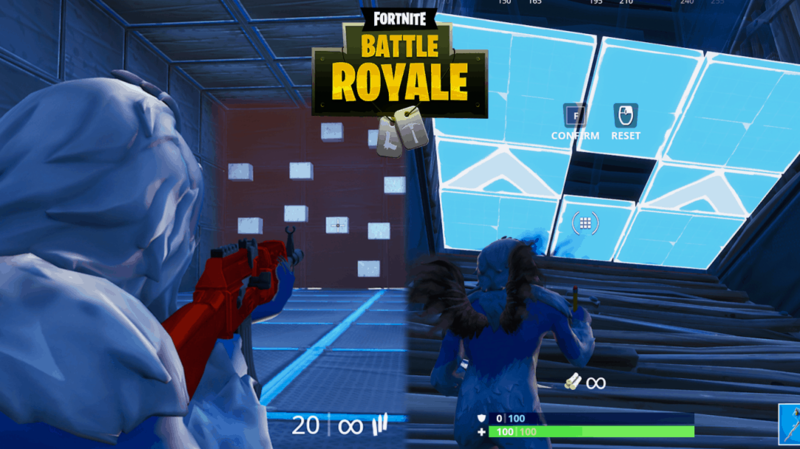 Another great course for warming up in Fortnite is this building + aiming course. In this course, you will find different sections for aiming with all sorts of weapons. There are also pre-built scenarios which require you to edit through a wall and then shoot an object with a shotgun. There are also sections for training ramps, 90’s and other classic builds. If you haven’t tried this course yet, we highly recommend it. This course is made by Fortnite user, CanDook. A more advanced warm up course that features advanced editing scenarios. If you are a bit more experienced with editing, this is a great course for warming up. It is an upgraded version of CanDook’s “easier” warm up course. Besides, editing, this course includes aim-training and editing to shotgun scenarios. This course is made by Fortnite user, CanDook. This classic edit map is made by popular Twitch streamer and Youtuber, Mongraal. It is a great course for warming up with many edit scenarious and the ability to practice double ramps, 90’s and more. This map is made by Secret Mongraal.